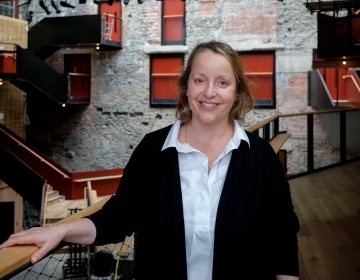 In the wake of its 250th anniversary celebrations and on the eve of the completion of its refurbishment, Bristol Old Vic’s Chief Executive Emma Stenning has announced her move to Canada to take up the post of Executive Director at Soulpepper Theatre Company in Toronto, after their international search for new leadership. She will take up her new position in November. 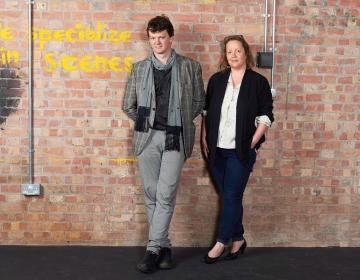 Alongside Artistic Director Tom Morris, Emma Stenning has led Bristol Old Vic since 2009 when the pair arrived to take on the embattled organisation at a critical moment in its life. Over the 9 years of her tenure, Bristol Old Vic has risen to a position of national and international significance, taking its place once again alongside the leading theatres in the country and re-establishing its international reputation. It has also renewed its relationship with the city of Bristol, its community and its audience, committing to being a place of welcome, entertainment and inspiration for those from every corner of the city. Alongside this, Emma Stenning has also managed the multi-million-pound redevelopment of the theatre and its complex; the refurbishment of the historic 252-year-old auditorium and its backstage spaces (completed in 2012) and now the second phase (completing on 24 September) transforming the foyer, public spaces, Coopers’ Hall and Studio Theatre into a cultural and heritage destination for the city - set to open on time and on budget. “It is an enormous honour to be invited to take up this role and I am thrilled that Bristol Old Vic’s growing national and international reputation has made it possible for me to take this exciting opportunity. It is a wrench to leave both the theatre and the city of Bristol, as I have fallen in love with both over the past 9 years. A part of me will always live here. “This is an amazing opportunity for the brilliant Emma Stenning whose talents, quite rightly, have been recognised internationally. Hers has been the steady hand on the tiller of the business through all our creative successes of the last nine years: hers have been the skills which have delivered the radical refurbishment of the building on time and on budget, reopening this September: and hers have been the brilliant collaborative skills which have developed a new consensus within Bristol’s creative sector about what we can offer the city and how we can all contribute to radical change in the city we love. “I am sad but not at all surprised that Emma has been recognised from across the world. She has been an outstanding CEO and a delightful colleague. Bristol, the theatre and all my colleagues on the Board owe her a huge debt and we wish her all good things for the future. Emma Stenning is Chief Executive of Bristol Old Vic, leading the organisation in partnership with Artistic Director Tom Morris. 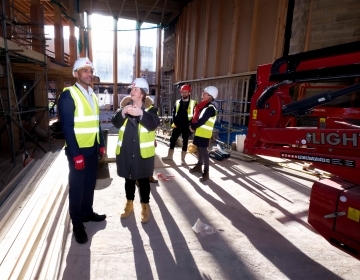 Together they have delivered the long awaited refurbishment of the Georgian theatre and continue to plan for the full development of the front of house spaces, whilst also working to revitalise the organisation’s creative life and public profile; locally, nationally and internationally.